AVAILABLE IN USA AND WORLDWIDE. CLICK CONTACT (lower right) FOR A QUICK REPLY! Aerial Net is an aerial act performed on a white cargo net. High energy and fun or liquid smooth and graceful. 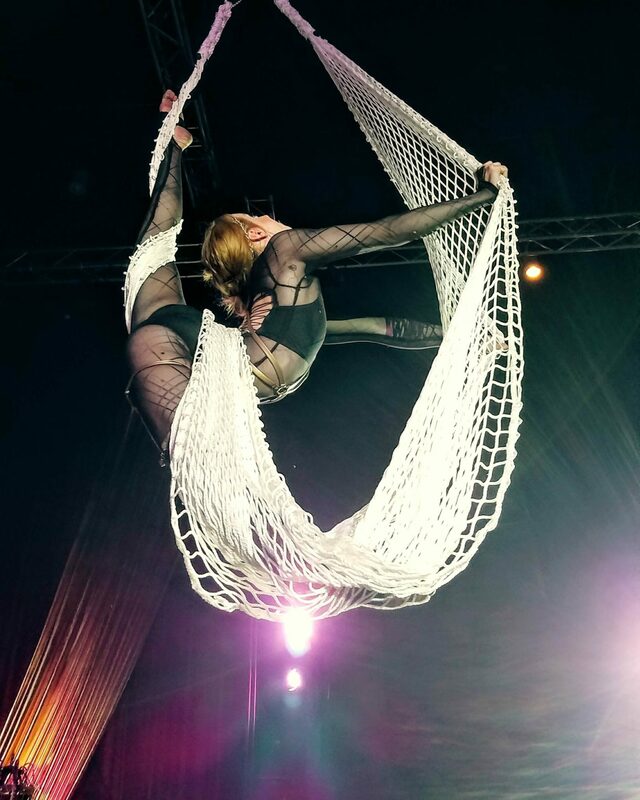 This routine is stunning to watch as Tina Phoenix performs contortion on the inside on the net, as well as on the outside while being suspending above the ground. Set to music or for your ambience. Lights reflect beautifully from this apparatus while the aerialist is spinning, free falling and dropping through the air and bending her body in various ways. – Rigging Options: i.e. Pulley System, Truss, Rigging Point, Motor etc.